Dr. Massey, a credentialed Special Education Teacher/School Psychologist/ and LEP, has worked within the public school system for over 30 years. She worked as a Resource Specialist and as an Educational Diagnostician in Texas prior to her move to California in 1976. She served as a Resource Specialist in the Fountain Valley School District and then as a Resource Specialist and Diagnostic Preschool Special Education teacher in Irvine Unified School District. She has been employed as a School Psychologist for the last 20 years as well as serving one year as an Autism Program Specialist for a special education preschool. In addition to serving in the public school system, she has presented at a national education conference, presented at parent groups, facilitated parenting classes, and served as an adjunct professor at Concordia University. She is presently employed as an adjunct professor at Alliant International University. Dr. Massey has extensive experience in psycho-educational assessment of learning disabilities, ADHD, developmental disabilities and emotional disturbance from preschool to middle school years. She also has worked in a program developing vocational curriculum for high school students. Additional training has included the Orange County Autism Academy and the program for Behavior Intervention Case Manager (BICM). She is experienced in conducting Functional Behavior Assessments or Functional Analysis Assessments and can develop resulting Behavior Support or Behavior Intervention Plans. Dr. Massey has consulted with educational staff and parents in the development of academic and behavioral interventions for students identified with Autism Spectrum Disorders, Attention Deficit with Hyperactivity, Anxiety Disorders, Learning Disabilities, and Developmental Disabilities. She has extensive background in facilitating social skills groups and developing peer mediation programs for children with social cognitive deficits. Dr. Massey’s expertise in educational diagnosis, treatment planning, and behavioral interventions can assist families with parent training and in accessing services within the educational system. She is skilled in facilitating multidisciplinary services for children that may include academic counseling, educational therapy, social skills training, speech and language therapy, and occupational therapy. Dr. Massey is a member of various professional organizations, including the National Association of School Psychologists, California Association of School Psychologists, Association of Licensed Educational Psychologists and Allied Professional member of the Association of Educational Therapists. 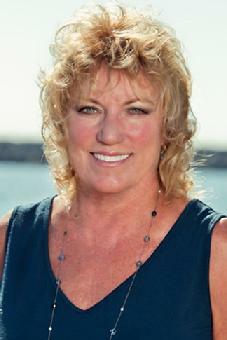 She has been active in the Laguna Beach and Dana Point communities through various organizations. 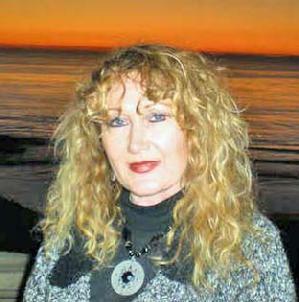 Dr. Gayla M. Massey, formerly Gayla M. Hitzel, is a mother of two and presently resides in Monarch Beach, California. Jan Casteel, a credentialed Teacher, School Psychologist and Licensed Educational Psychologist, has worked within the public school system for over 40 years. She taught in an elementary school in Centralia School District for 12 years and served as a counselor in Centralia for 2 years. She also served as a School Psychologist there. She moved to <?xml:namespace prefix = st1 ns = "urn:schemas-microsoft-com:office:smarttags" />Capistrano Unified School District in 1989. She has been employed as a School Psychologist for the last 27 years as well as serving 3 years as the Lead Psychologist for Capistrano Unified School District. In addition to serving in the school district, she has worked for the Orange County Department of Education assessing infants for autism. She has presented at educational conferences, presented at parent groups, facilitated parenting classes, and serves as an adjunct professor at National University. Jan Casteel has extensive experience in the psycho-educational assessment of students with learning disabilities, ADHD, developmental disabilities and emotional disturbance from preschool through the high school years. She speaks Spanish and has extensive experience working with students from different linguistic and cultural backgrounds. Additional training has included the Orange County Department of Education Autism Academy and the Orange County Department of Education training for Behavior Intervention Case Managers (BICM). She is experienced in conducting Functional Behavior Assessments and Functional Analysis Assessments and can develop Behavior Support and Behavior Intervention Plans. She has consulted with educational staff and parents in the development of academic and behavioral interventions for students identified with Autism Spectrum Disorders, Attention Deficit with Hyperactivity, Anxiety Disorders, Learning Disabilities, and Developmental Disabilities. Jan is able to assist in educational diagnosis, treatment planning, and behavioral interventions. She is able to assist families with parent training and in accessing services within the educational system. She is skilled in facilitating multidisciplinary services for children that may include academic counseling, educational therapy, social skills training, speech and language therapy, and occupational therapy. Educational Therapy is the clinical practice of providing intensive, individualized compensatory and remedial intervention for students with learning differences. Services are provided to individuals with various types of learning disabilities and other learning challenges, such as dyslexia; attention deficit disorder; language processing problems; math difficulties; poor motivation; low academic self-esteem; poor social, organizational, and study skills; and performance anxiety. Formal and informal assessment and/or individual remediation services are provided. Paula holds an Educational Specialist Degree from Chapman University, a Professional Teaching Credential, and a Life Teaching Credential from the state of California in Learning Differences. She currently works as an Educational Specialist for Irvine Unified School District and has a private practice as an Educational Therapist. Business address: Lakeside Plaza, 23120 Alicia Parkway suite 107 Mission Viejo, CA 92692. 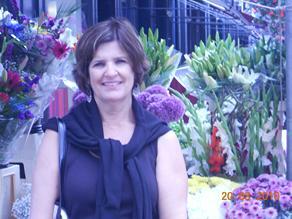 Paula resides in Orange County, California with her husband. She has four grown children and two grandchildren.